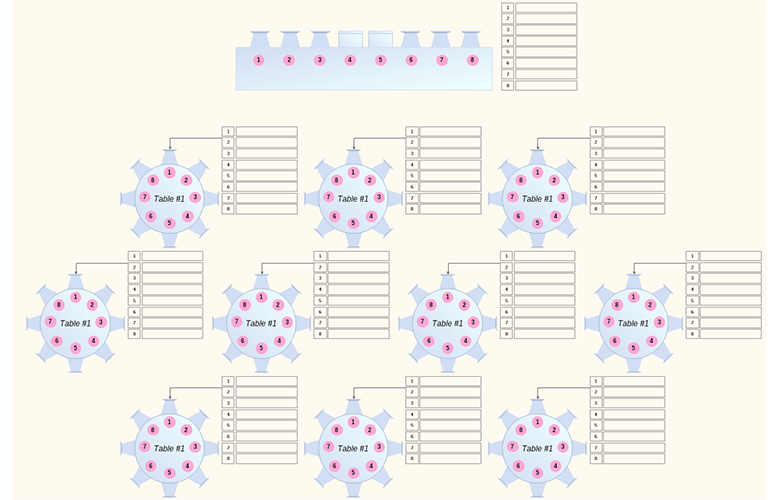 This is a wedding seating chart that helps you organize your special day. Download this free template and customize it by numbering each table and entering the names of your guests. Avoid any possible complications with Nevron Draw, by visualizing each little detail of your event.